This week, we've been hearing a series of stories from the Inside Appalachia team about the challenges that some Appalachian families face when trying to eat fresh food. Sometimes it’s the cost, or poor choices. Sometimes it’s limited access because they live in what’s called a food desert. Seven months ago the Walmart in McDowell County closed, and this was especially difficult for the Five Loaves and Two Fishes food pantry, run by Linda McKinney and her husband Bob. They say the superstore’s closing has actually inspired their family to rethink how they get food for the pantry. Once a month, the McKinney family, and a small group of volunteers, provide shopping carts full of canned food, oatmeal, and macaroni and cheese. “I just never want anyone to go hungry, cause I watched as my grandmother provided for the children who lived in out holler that would come in our yard and play. She always had fresh bread, hard salami,” said Linda McKinney. She and her husband Bob, a retired minister, have been running the food pantry since 2009. 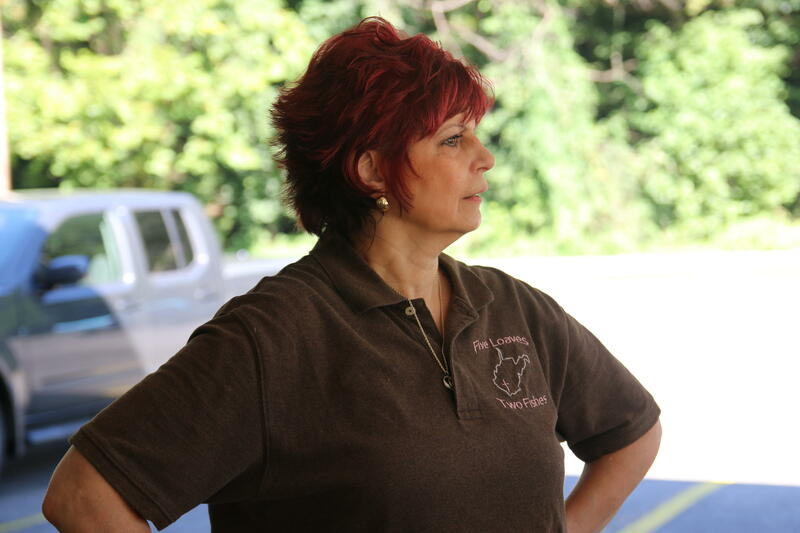 She says the need to help hungry people keeps growing in McDowell County. Last year, the food pantry gave away enough food to feed half the population of McDowell County. Now, Five Loaves doesn’t keep track of customers who return month to month, so it could be a much smaller portion of the population who use the food pantry, but it’s still a lot of food. McKinney says she serves laid off miners and their families, as well as grandparents raising grandchildren. She says it’s important to remember that most of us are equally vulnerable. It’s also now Walmart, she says. The Walmart closure is a double whammy for the food pantry. 140 people were laid off, which means demand might go up at the pantry, but Linda and her family have relied heavily on donations from Walmart. Last year, they received 95,000 pounds of donated food from the company. Walmart delivered the food at least three times a week. McKinney says when the superstore closed, she almost lost hope. Some people have stepped up to donate- a group of ATV tourists from North and South Carolina drove up a truckload of canned food for the food pantry. Walmart wouldn’t agree to an interview, but their communications director Brian Nick did send us an emailed statement that said the decision to close 154 Walmart stores was based on a variety of factors, including financial performance, but he didn’t provide any specifics about the superstore closure in McDowell County. West Virginia University Geography professor Bradley Wilson has been paying close attention to the Walmart closings. He says they can be really difficult for communities. That’s especially true for towns where the small local store closed after Walmart first arrived. In McDowell County, there are locally owned grocery store chains – Goodson’s in Welch and Grants in War. But these aren’t big enough stores to supply the food pantry. So McKinney has had to seriously rethink how she is going to continue feeding people in need. The McKinneys are starting to grow food in the parking lot outside their food pantry. 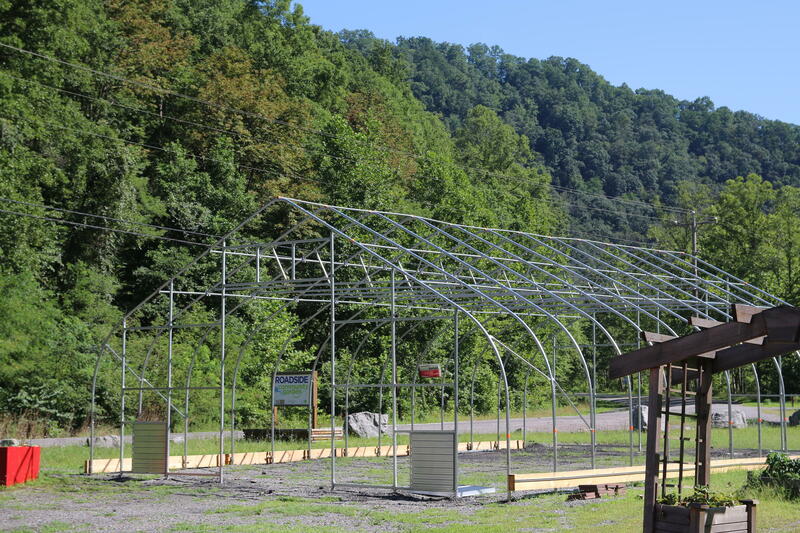 Here is a high tunnel, under construction, where Linda's son Joel plans to grow vegetables year round. Desperate times call for creative solutions, and McKinney is hopeful as she heads back to work. Lately, she’s had a lot of sleepless nights, but the anxiety doesn’t seem to slow her down. Feeding people is a job that’s never over. What Happens When Walmart Closes in One Coal Community? Eating your fruits and veggies is good for you, but it’s not always an easy choice. On this episode, we explore some of the challenges, choices, and barriers to eating healthy. Sometimes it’s the cost, or poor choices, sometimes it’s limited access because they live in what’s called a food desert.